See how much storage space you need, our prices and reserve online! Find Cheaper Drive-Up Self Storage In Kent And We Will Match It! 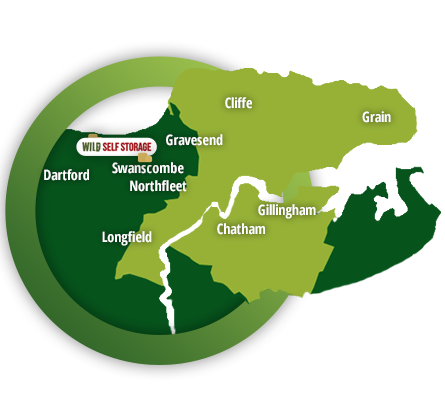 We have one of the largest self storage facilities in Medway and Kent for private and commercial use. Call us today on 01634 871287 to discuss your self-storage requirements or visit our Space Estimator and reservation page for our transparent prices and terms. We have a comprehensive range of self storage units available, ranging from the smallest units that are ideal for students to massive units for large domestic and business usage. Our storage premises are manned by experienced professionals and monitored by high quality CCTV equipment at all times. Your domestic or commercial items and personal belongings will always be safe, secure and protected in our damp proof storage units, lockers or boxes. Not sure what size unit you will need? Take advantage of our FREE home or business survey service! We can work out exactly the type and size of self storage you need at no extra cost. If you need advice or guidance and are not sure what size unit you will need, just call us and we will carry out a free no obligation home or business property survey within a few days, quicker if you are in need of self storage quickly. We can even collect and deliver your domestic or commercial items! If you are unable to get to our premises or you just don’t have the time, we will be more than happy to come and collect your items for a nominal fee. We’ll even deliver them back to you whenever you need them. Based in Strood, Kent, we welcome private and commercial clients from across Medway and the surrounding region. 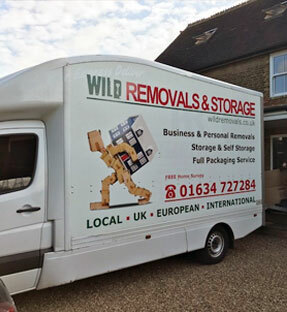 We have clients storing personal and business items from customers as far as Maidstone, Gravesend, Gillingham, Rainham, Rochester, Sittingbourne, Hempstead, Snodland, Aylesford, Walderslade, Newington, Higham, Meopham, Cobham, Wainscott, West Malling and Cuxton. If you would like any more information about our range of self-storage unit options, please do not hesitate to contact one of our helpful and friendly team. "Very professional and friendly. The units were very affordable and definitely worth the price. most definitely recommended." "Really happy with my storage unit. Lee and the lads dismantled and moved my furniture into storage. Met them down at the storage centre where they showed me to my unit which was perfect as I can drive right up to it without any bother if I need to access my belongings. And a bonus that it's 24/7 access! Office staff was helpful and friendly. Great job!" "Absolutely fantastic storage Facillities with staff that couldn't be more helpful." "Really great access available. Very clean and good facilities. Will continue to use and recommend to others."